We were expecting Nintendo to (perhaps) slash the price of its current console next month. 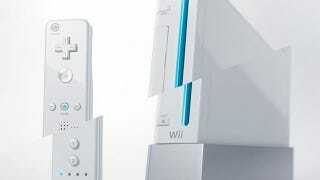 But we may see a cheaper Wii in North America as soon as Monday, if reports from retailer Target are accurate. GenGame claims to have evidence of a price drop for the Wii coming to Target stores, which will purportedly hit Monday, April 18. According to what appears to be an internal communication to employees, the Wii would be as cheap as $169.99 USD on Monday. That will get you a "Black Wii Console with Motion Plus Controller," according to GenGame. That's not as drastic a cut as the one that Engadget reported earlier this week, which pegged the Wii's new price at $149.99 USD. But perhaps Target is simply clearing house a little earlier in anticipation of the cheaper package, one with a more attractive bundle.